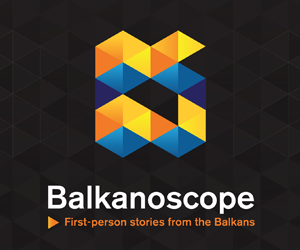 BRUSSELS – Without solving of all bilateral disputes, there will be no further enlargement in the region of Western Balkans, stated Jelko Kacin, Permanent Representative of Slovenia to NATO and former Rapporteur for Serbia and Montenegro in the European Parliament. 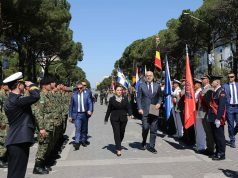 In a statement for the European Western Balkans, Kacin emphasised that the decision of the Republic of North Macedonia to change its name is a result of historical political agreement. “It is a political compromise that should be carefully studied by other states in the region who didn’t yet solve their bilateral problems with neighbors that occurred after dissolution of the former Yugoslavia”, he said. 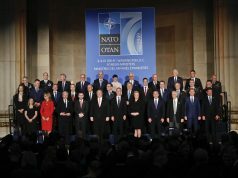 After the successful ratification of the Prespa Agreement in both Macedonian and Greek parliament, Permanent Representatives of all 29 NATO member states signed the Accession Protocol with the former country on 6 February. Greece was also the first country to ratify it two days later. According to Kacin, who was also Minister of Defense of Slovenia between 1994 and 1997 and then a member of national parliament, this country will ratify accession protocol with North Macedonia as soon as this country implements the new name and inform the relevant international institutions. “The government of Slovenia approved the draft ratification law last week, National Parliament (Državni zbor) will follow next”, he reminded. 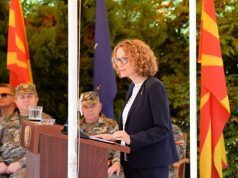 The institutions of North Macedonia adopted the new name on Tuesday, so it can be expected that this process will be finalised relatively quickly.